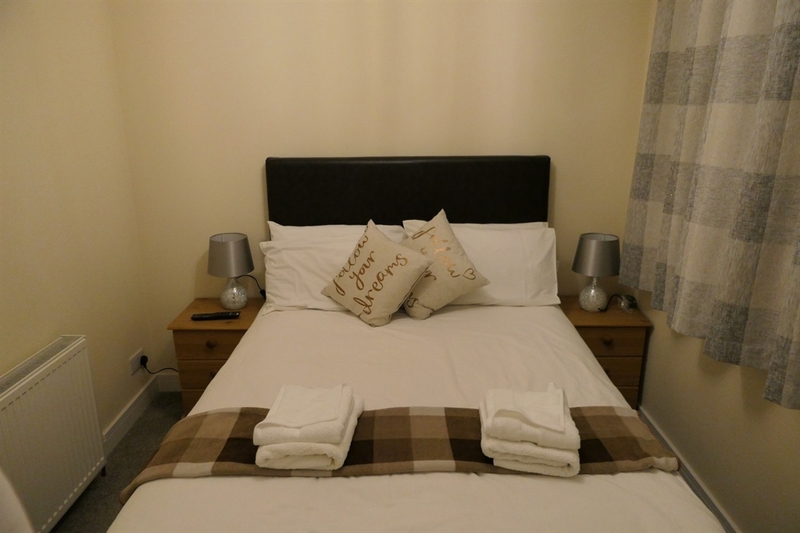 A double and a single room in a new refurbished house. Each has a wash hand basin while sharing the bathroom between them. Both rooms have TVs, coffee/tea facilities, free Wi-Fi. Breakfast- continental. Drive to village center - 3 mins, 15 minute walk. Guest can enjoy tea/cofee facilities & watching TV in their room or in the living area with TV, or you may simply decide to go down to the garden, admire the flowers & feed the birds. Breakfast is served daily & includes a buffet style continental. The wiew is out over the garden with flowers & local hillside. Location: Portree is home to a harbour & the Aros Centre. Boats trips depart regularly from the harbour to see the Sea Eagles whlle sightseeing & distillery trips depart from Portree Sq. Sites such as the rocky hill The Old Man of Store (only 7 miles away), while Talisker Destilery & the Oyster shed with fresh sea food service is a 30-minute drive away. There are several shops & Restaurants within 3 minutes drive from B/B. Guest can enjoy a lunch & diner or sea food in the local restaurants and can take an outdoor activity to enjoy the magical, romantic and magnificent island.